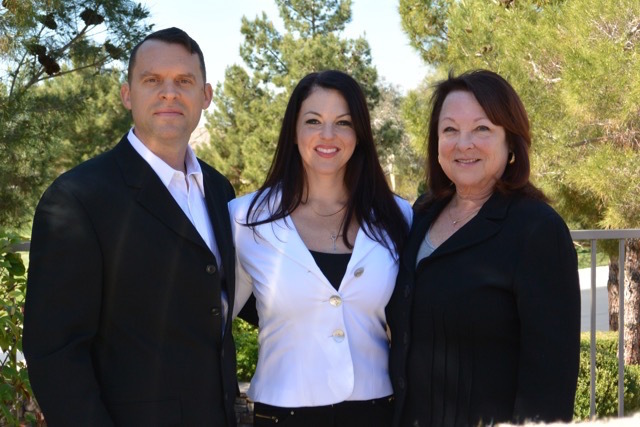 The Stark Team of 3, June, Lauren & Travis have 50+ years of combined real estate experience. June is a 47 year Las Vegas Resident, and Lauren & Travis were born here. We have been involved with the design/build of custom homes, semi custom homes in Guard Gated Summerlin & Anthem Country Club neighborhoods, and have sold each and every luxury high rise condominium tower from its pre-construction stage. The Stark Team has deep market knowledge and expertise in Buying & Selling Las Vegas & Henderson Luxury Real Estate. We are fine tuned negotiators, tech savvy, and experts in marketing high end homes. In 2010 we represented the late Las Vegas' Billionaire hotelier, Kirk Kerkorian in the sale of his Las Vegas Country Club estate. We offer the highest level of marketing, personalized service, and data analysis in the business and will treat your business as we do our own.